It’s fun to wrap vases. And the result is strokeable: you want to touch the vases immediately because they look so soft! 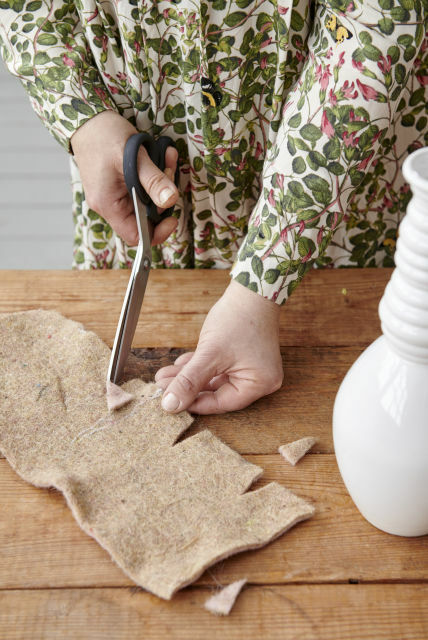 Step 1: Cut the brown synthetic felt to size to fit the vase you want to wrap. You can deal with the curve by cutting out triangles (see photo). Once it fits well, cut out a couple of identical shapes for similar vases. Step 2: Stick the felt to the vase. Particularly ensure that the bottom is fitted neatly (the top will be finished with fake fur). Step 3: Cut a strip of white fake fur to size. Glue it just above the brown felt, so that the fur hang over it attractively. 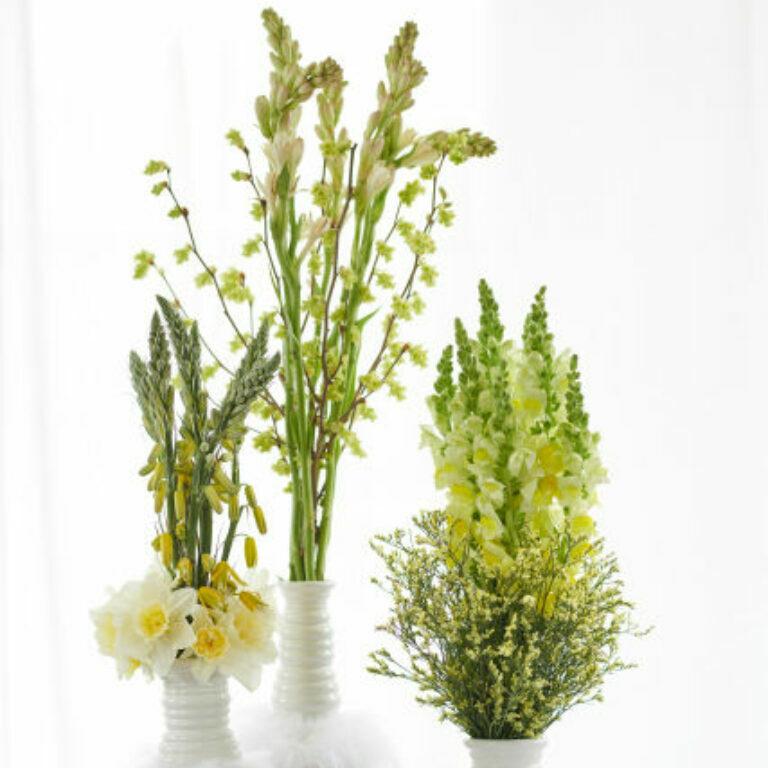 Wrap other vases in the same way. Step 4: Fill the vases with water and cut flower food. 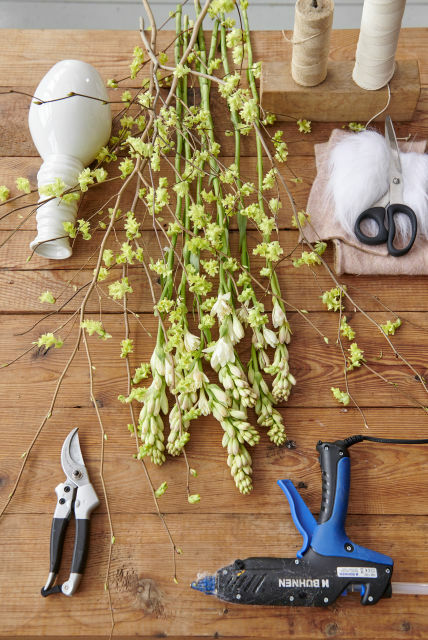 For combinations involving narcissi or daffodils, used special cut flower food for narcissi. 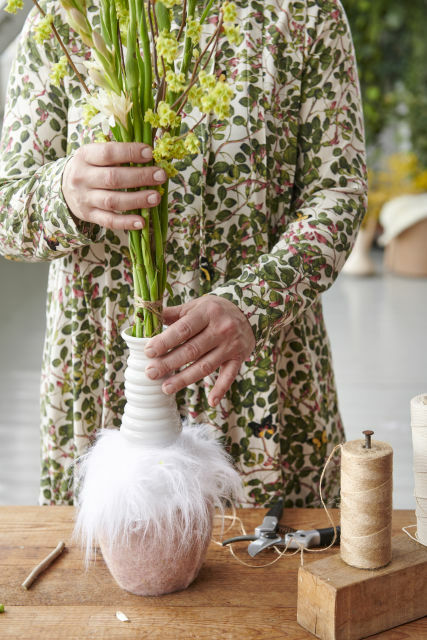 Step 5: Bind tight bundles of the soft yellow scented spring flowers (two types per vase). Group the flowers in vases of different heights. Vases that have not been selling in your shop can be given a very contemporary look with soft fake fur. Stick a couple of scented flowers in them, and they will sell straightaway!